The instructions provided describe how to insert dynamic text based on values from a feature's attribute table for Data Driven Pages. See ArcGIS Help - Using dynamic text with Data Driven Pages for general information about this topic. 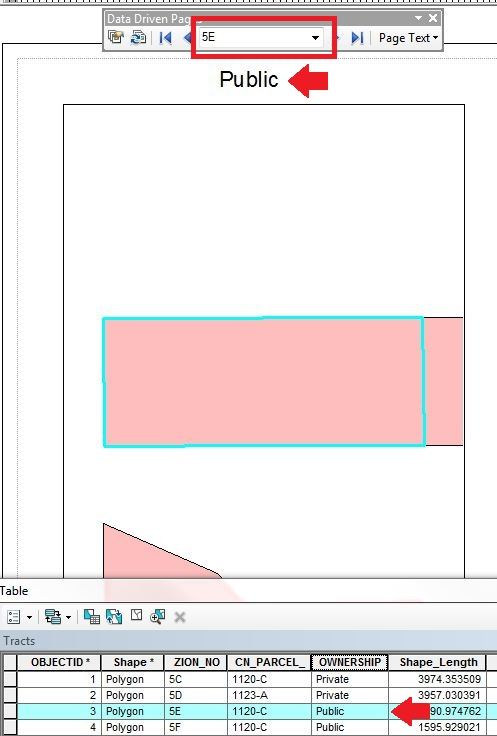 In the map document, create Data Driven Pages and verify that the index layer contains the attribute values for the dynamic text. See the Web help topic 'Creating Data Driven Pages'. Switch to the Layout View. 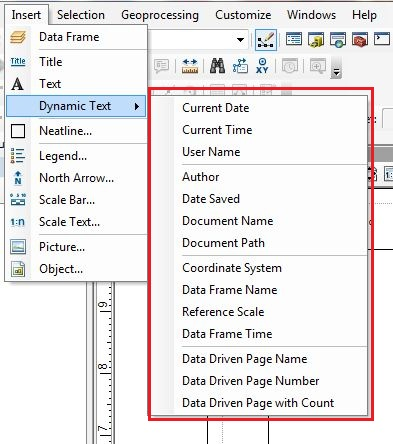 Navigate to Insert > Dynamic Text and select Data Driven Page Name, or any of the other dynamic text options. Open the index layer's attribute table. Make note of the field name for the values to be dynamically displayed. 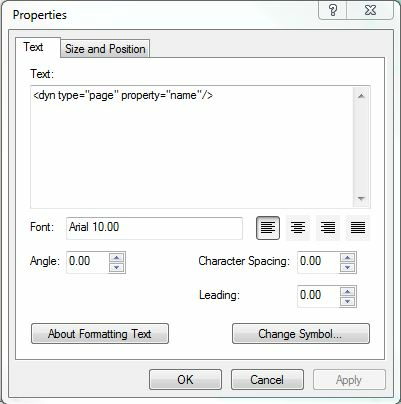 Right-click the dynamic text inserted on the Layout View and select Properties from the context menu. In the Properties dialog, click OK. The dynamic text displays the values from the selected field in the index layer's attribute table, based on the Data Driven Page. ArcGIS Help - What are Data Driven Pages? 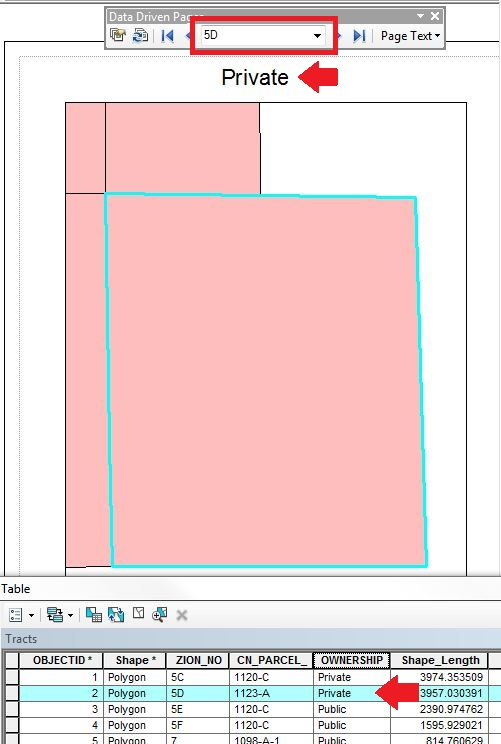 ArcGIS Help - What is dynamic text? Get notified about latest updates to this technical article?